I've been previously locked out of my own car before with no spare key or way of getting in far from home. Knock Lock is an alternative way to unlock your car if you don't have your keys or don't want to break into your own vehicle. A Piezo speaker listens for knocks based on the number of knocks and the time interval between each knock. 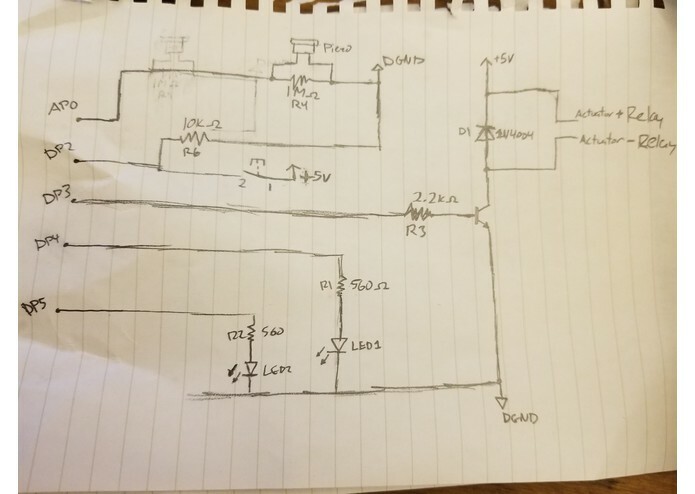 This is run on an Arduino R3 microcontroller which is connected to a relay in the car that is responsible for the power locks. If the sequence of knocks is correct, then the Arduino will send an electrical pulse to the relay that will unlock the doors. The main issue we had with the project was designing and soldering the electrical circuit running from the car, the speaker, and Arduino. Another issue we had was wiring and working on the car in the cold. We are proud of managing to get the Arduino to interact with the car based on input from the speaker. 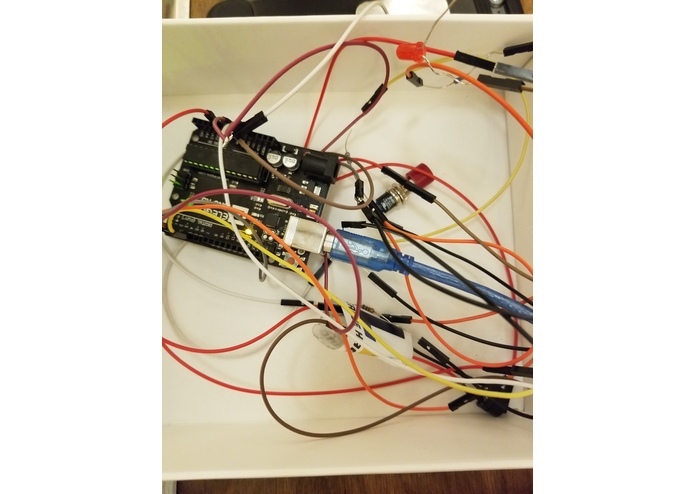 As this is our first hardware based project, we learned a great deal in how electrical components work and being able to interact with a car's electrical systems on a rudimentary level. We wish to wire the controller to the car's ignition to be able to not only unlock the car based on the correct knock, but also start the car simultaneously. I mainly worked on the hardware, wiring the circuit and connecting it to the correct components inside of my car.